Totally not a food blogger, will never be a food blogger so forgive the crappy pictures, it is what it is. And without further ado here we go! I vacillate between wanting to eat a big breakfast and just eating because I know I should. Lately it is the latter so my breakfasts aren't anything great. 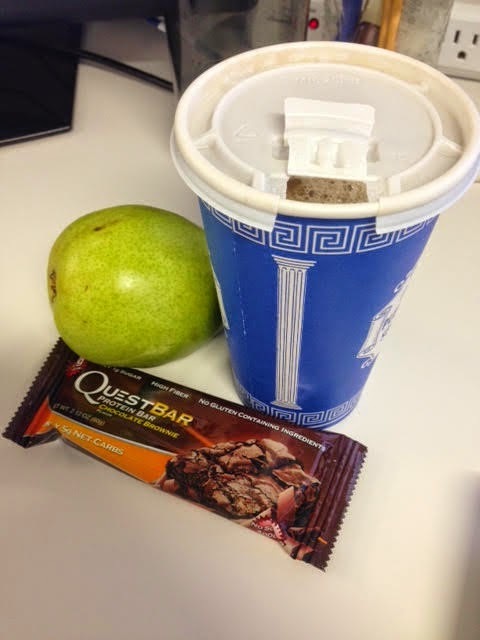 Quest bars and fruit + #allthecoffee have been a staple. 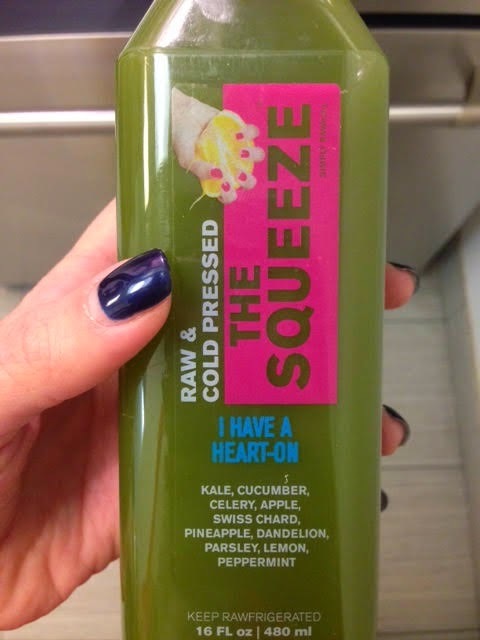 I had a meeting around noon so I had this new to me green juice to tide be me over until I could scarf some lunch. It was delicious. Then again anything green to me is - but the name had me laughing like a school girl. Did plenty of meal prep over the weekend so had a lovely satisfying but simple salad. 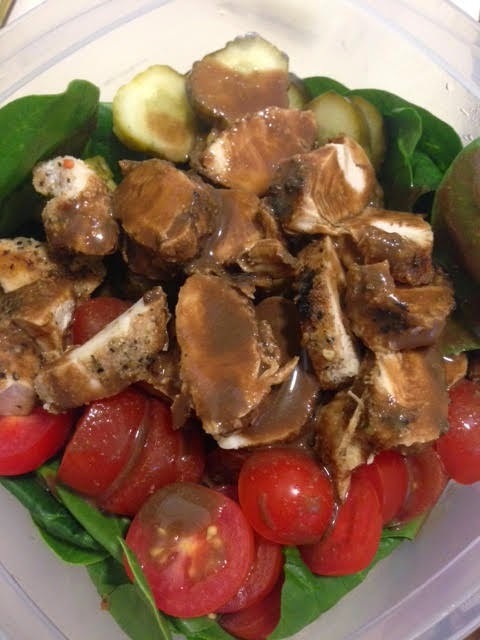 Baby spinach, grape tomatoes, dill pickles and grilled chicken seasoned with TJ's 21 salute seasoning because, obsessed. 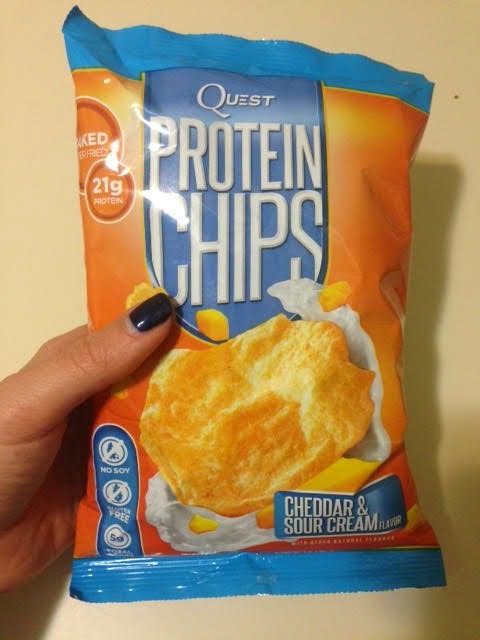 And a side of quest chips - they have protein so they're healthy basically, right? 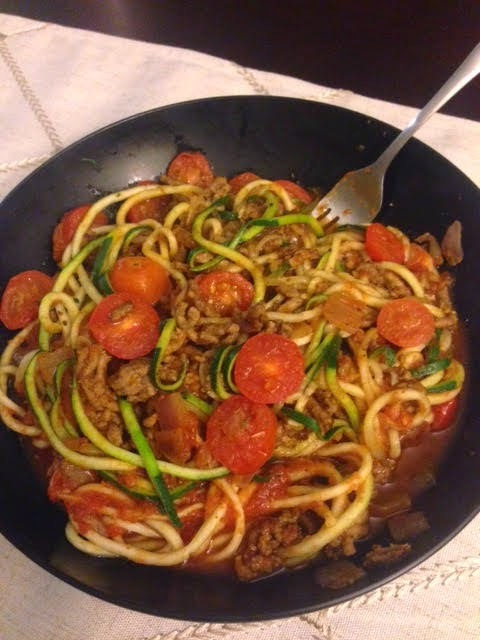 I managed to hold off dinner until I got home and the past couple nights have had this delish combo - spiralized zucchini (the WHOLE THING) sauteed with scallions, grape tomatoes and 90% lean ground beef and a little garlic and herb sauce (cheated and used Hunt's I feel like a bad Italian). Fantastic. And with the ground beef prepped it takes all of 10 minutes between the spiralizing and cooking. 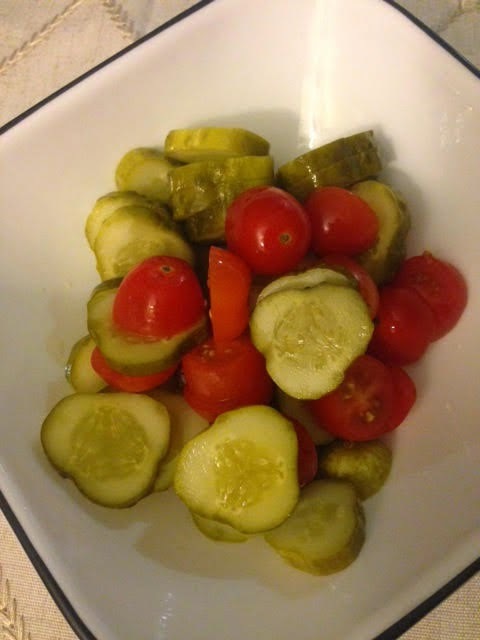 While it was cooking I noshed on some more tomatoes and dill pickles. Never too many pickles. Sodium much? Those cookies look delicious! I mean, those veggies... ;) I love spiralizing zucchinis, it's such a quick and tasty meal. They are buttery yet crunchy and oh so good. Also delicious crumbled into greek yogurt. The yogurt DEFINITELY makes it healthy! Your zoodles look delicious! 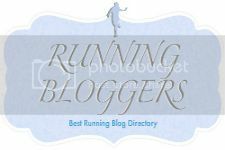 I eat low carb and am interested in the Quest bars... I hear a lot of people use them. What flavors are your favorite? Oh, and hello from the link party! Hi Britt!! I have been a fan of quest bars for years - low sugar - 1g typically and the carbs are mostly fiber so net carbs average around 5g. My favorites are definitely the sweet dessert like ones because they taste so good but are good for you! - chocolate chip cookie dough, cookies n cream, white chocolate raspberry (surprising bc I usually hate white chocolate) and chocolate brownie. The apple pie, banana bread and lemon are also delicious! 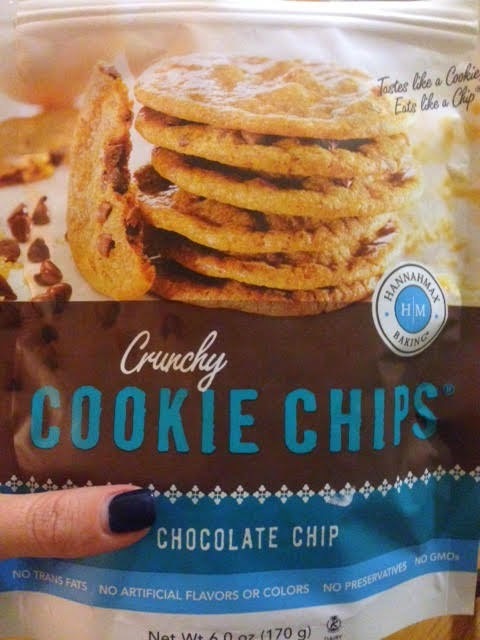 The only one I can say I very much do NOT like is the double chocolate chunk for some reason I am not a fan. Plus for a protein bar they are 160 - 210 calories which is very reasonable for 20+ g of protein. Hahaha that juice made me laugh out loud!